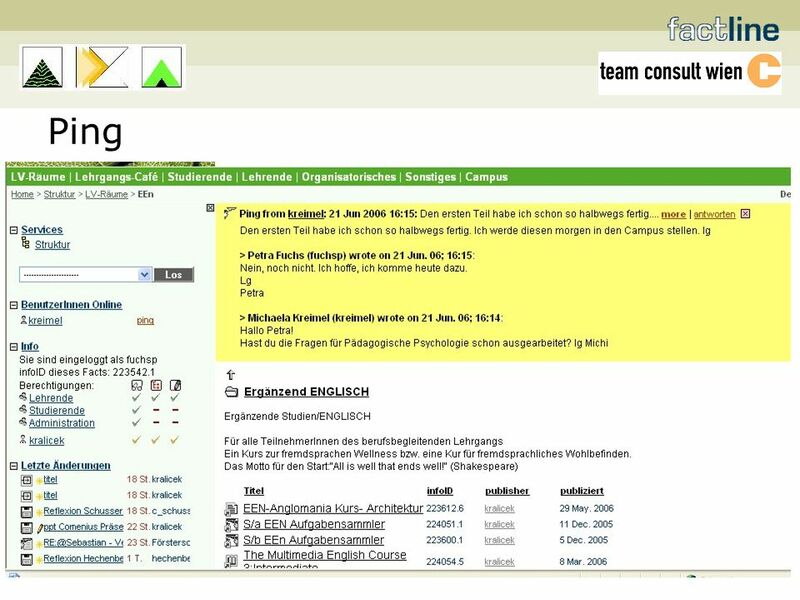 Agricultural Education: Blended Learning for In-service Students Vienna, 23 June 2006 Three Perspectives – Three Presenters: Paul Meinl – factline & team. 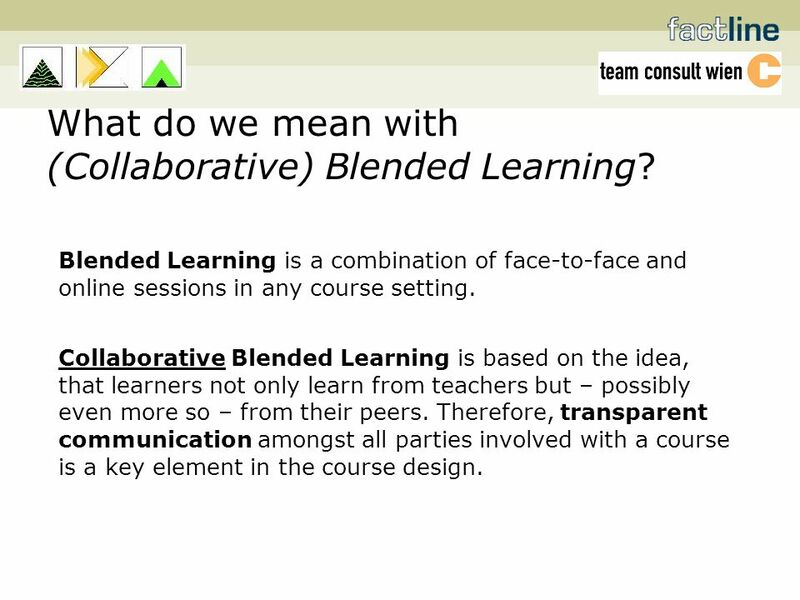 4 What do we mean with (Collaborative) Blended Learning? Blended Learning is a combination of face-to-face and online sessions in any course setting. Collaborative Blended Learning is based on the idea, that learners not only learn from teachers but – possibly even more so – from their peers. Therefore, transparent communication amongst all parties involved with a course is a key element in the course design. 5 When should an organisation consider Collaborative Blended Learning? 1. There is a need to reduce physical attendance. 2. 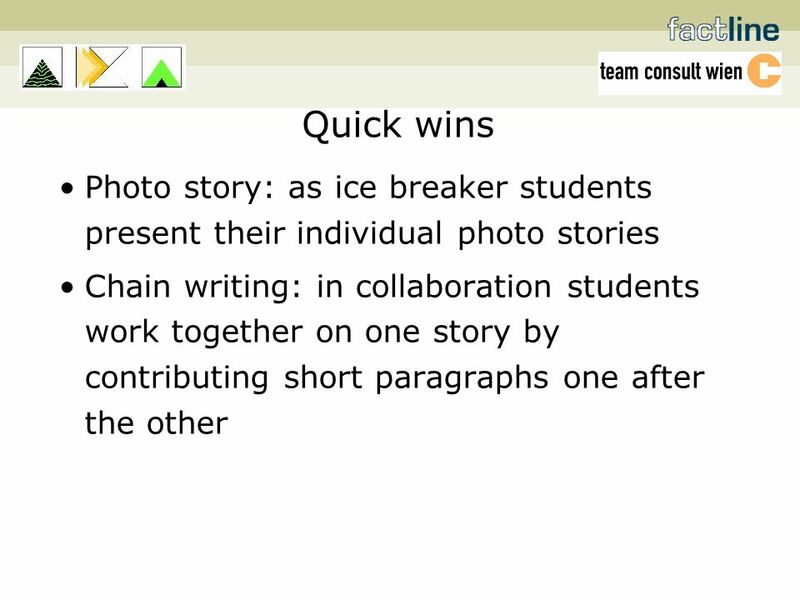 Participants have a shared (professional) experience and similar tasks/goals. 3. Participants are eager to learn from each other. 9 Key Success Factors Basic need existent Internet access OK Motivated Teachers Communicative moderator & platform administrator Openness of all participants...and a little patience! 25 Thanks for your attention! 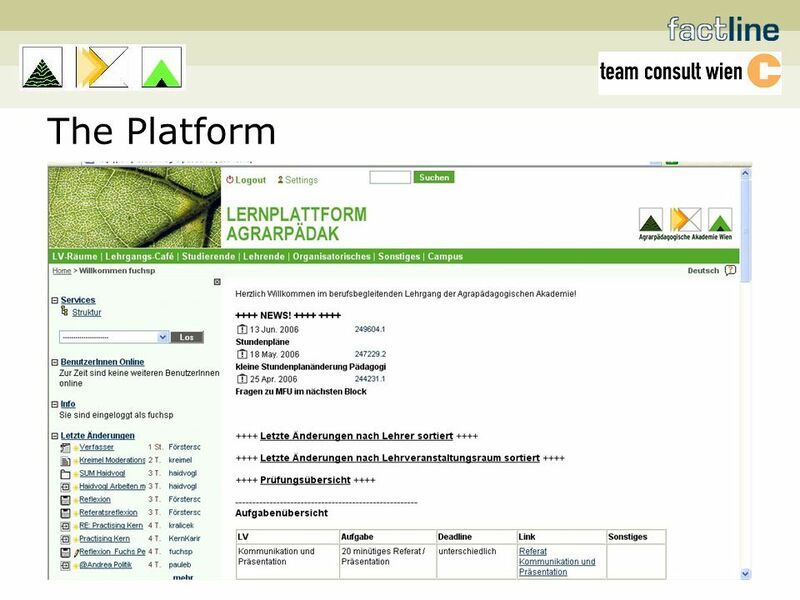 Download ppt "Agricultural Education: Blended Learning for In-service Students Vienna, 23 June 2006 Three Perspectives – Three Presenters: Paul Meinl – factline & team." 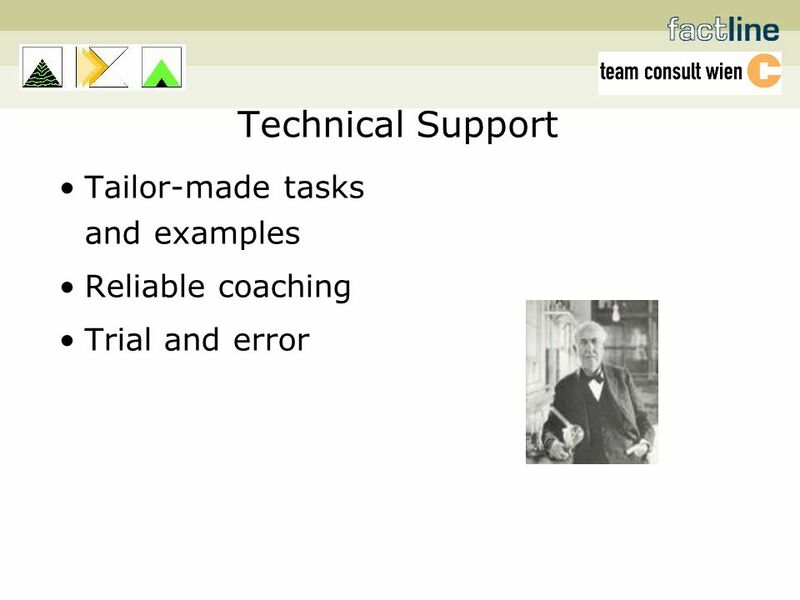 Tandem learning method for professional training Basic Ideas, Concepts and Methods. Criteria to design and assess ICT-supported Higher Education Teachers Training European Symposium Teacher training and the innovative use of ICT in HE. 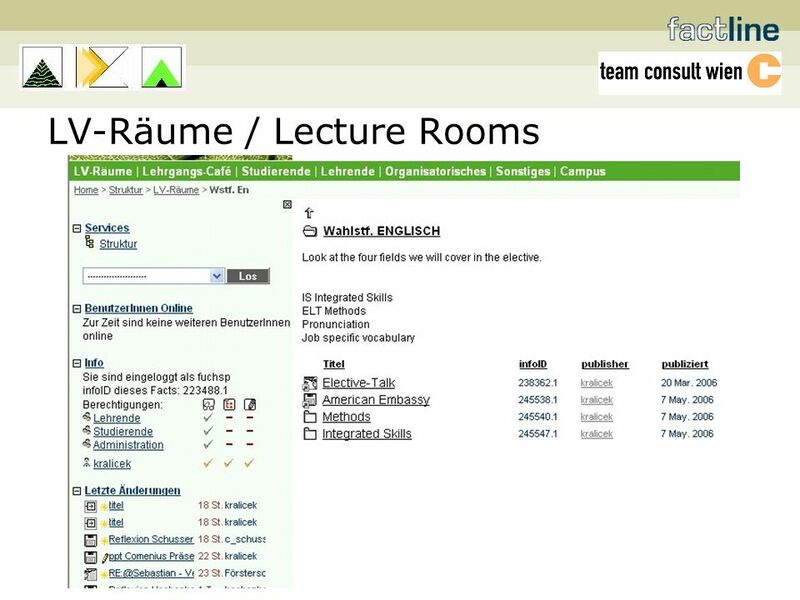 Technische Universität München Universitätsbibliothek Dr. Caroline Leiß, IATUL Seminar Best Practice Examples: Qualification Profiles and Vocational. Montessori Methodology in Language Training MMLT. DEAFVOC WP 6 Transnational trainee course. 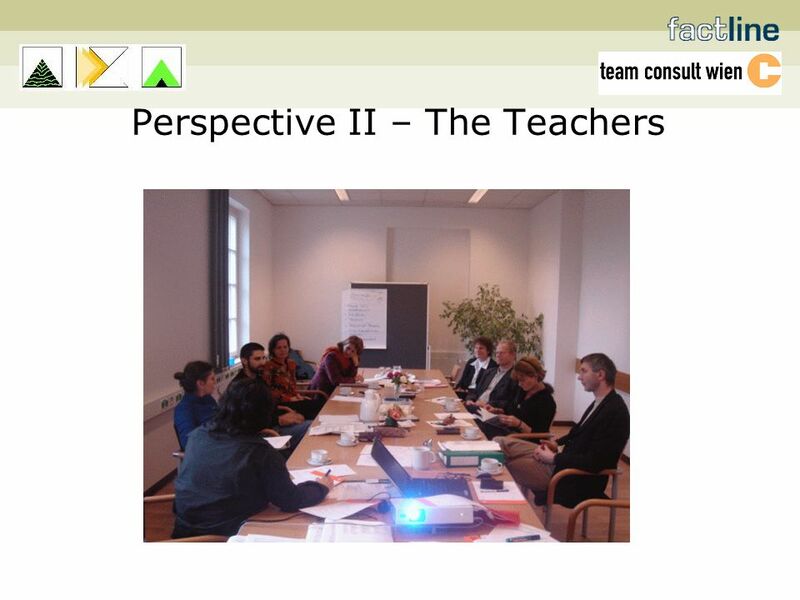 WP 6: Teacher Training Course 1) Date, place 2) Who will be trainers? 3) Who will be trainee (participants)? Child Sponsorship and Child Rights Workshop October 2012 Brussels. Building professional relationships with colleagues to share teaching insights and to coordinate learning activities for students Domain D3. The Liberal Academy. I | About Every liberal member, especially a young one has a need for improving political skills, as well as a need for personal. “Our Village”: Project-based telecollaborative learning Maria Lurenda Suplido Westergaard UP Open University 6-7 September 2006. Presentation Name December 05 Embedding blended learning into mainstream Higher Education “Developments” Debbie Reynolds Clare Denholm. 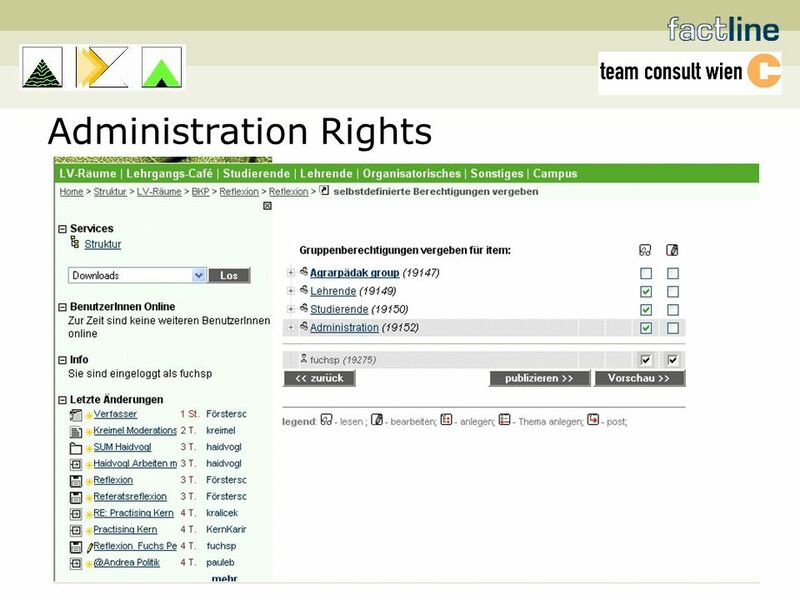 eLearning project Pg. Dip Course: Understanding Assessment Anne Cox School of Education and Training University of Greenwich. Spanish for medical students fostering collaborative learning in mixed-level groups Lucy Hill School of Modern Languages. CH4LLENGE has just started its series of online learning courses! We offer a SUMP Basics online course and four in-depth courses.